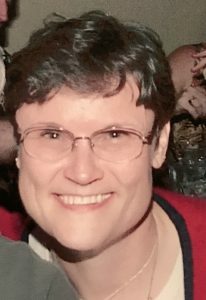 Barbara Ann “Barb” Reichert, 70, of Lincoln, formerly of Virginia, peacefully passed away February 17, 2017 at Memorial Medical Center, Springfield. Barb was born February 3, 1947 in Jacksonville, IL., the daughter of Dareld and Norma (Williams) Ivey. She was preceded in death by her parents. Barb was a 1965 graduate of Virginia High School and married her high school sweetheart, Gary Reichert on July 18, 1965 at Grace Lutheran Church in Virginia, IL, where she and Gary remain members. Barb retired from SIU School of Medicine after 33 years of service as the Chairman & Curriculum Administrative Assistant for the Microbiology & Immunology Department. Barb had been a member of the Lioness Club in Virginia, and is a prior member of the Order of the White Shrine of Jerusalem in Lincoln. Barb cherished her time with family and friends antiquing and attending various hometown festivals. She also enjoyed gardening, cooking, baking and sewing, especially cross stitch. Many of her creations were framed and shared with family and friends. Barb spent many years attending sporting events for her children and later enjoyed attending various sporting events with her family. Barb was known to have a big heart. Over the years, she held a special places in her heart for her pets and an even bigger place for her granddaughter, Addy, whom she adored. Surviving are her husband Gary Reichert of Lincoln, IL; daughter Heather Reichert of Carpentersville, IL., son Eric Reichert of Lincoln, IL. ; and granddaughter Addalynn Reichert. Visitation will be from 5-7 PM Thursday, February 23, 2017 at Holland Barry & Bennett Funeral Home in Lincoln with funeral services to follow at 7PM Thursday also at the funeral home. Burial will be at 11 AM Friday, February 24, 2017 in Walnut Ridge Cemetery, Virginia, IL. Memorial donations may be made to Historic Grace Lutheran Food Pantry in Springfield, IL or Humane Society of Logan County, Lincoln, IL.